Chinese Restaurant. 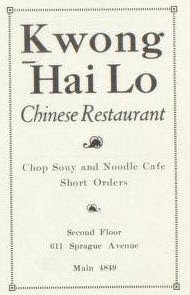 Chop Souy and Noodle Cafe. Short Orders. Second Floor. Main 1819.